In the digital world, business is data-driven. To make informed decisions and respond rapidly to changing business conditions, employees need relevant analytics in real time. However for most of the organizations, analytics lack enterprise-wide penetration. So how can your IT group extend analytics to the widest possible base of business users and deliver the insight needed for better, faster decision making? 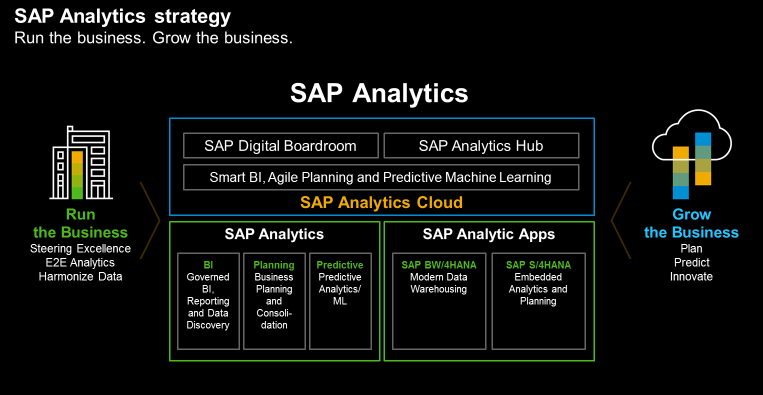 The SAP Analytics Hub solution can help to brings all BI analytics into one place as per business need. A great asset for self-service analytics in the area of SAP and Non-SAP to one place. 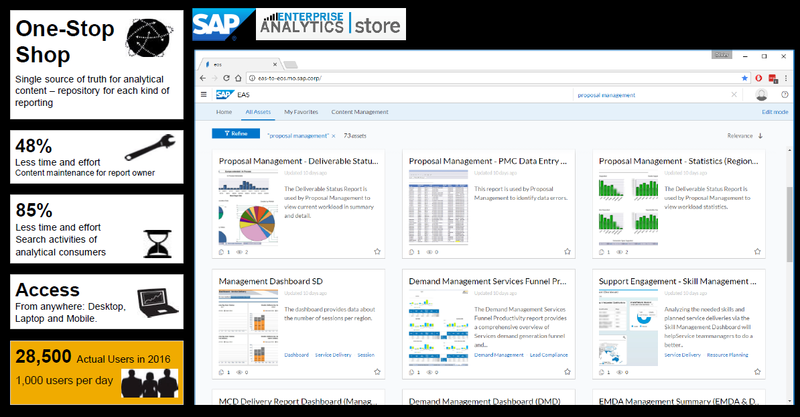 What is SAP Analytics Hub (SAH)? SAP Analytics Hub is a new software as a service (SaaS) offering that aims to address the challenge of limited analytics adoption. SAP Analytics Hub empowers more business users to make better decisions with the right analytics available to the right user at the right time. SAP Analytics Hub simplifies access to analytics scattered around multiple heterogeneous environments and grants users with actionable insights without compromising agility. All Analytics on One Platform. Deliver simplicity with all analytics capabilities together on one cloud-based product – bringing together data access, data prep, discovery, visualization, analysis, prediction, planning, what-if, all augmented by AI and Machine Learning capabilities. Consumer Grade – Analytics access and adoption can further support a common UX that goes across all capabilities and devices to provide one common and simple user experience which increases use and adoption. Hybrid – The strategy supports organizations operating in a mixed landscape with on-premise and cloud or multi-cloud technologies and data with on-premise to cloud interoperability and a way for the organization to manage all types of analytics across their business. Embedded – Embedding analytics into SAP applications and third-party application allows customers to provide a contextual business driven insights where their users need it most. Intelligent – Enabling deeper, more meaningful logic and context driven insights, providing users with technology to have their data tell them what’s happening using Machine Language (ML) and Artificial Intelligence (AI) capabilities, bringing hidden insight and context to life. When SAP Analytics Hub released and others? SAP Analytics Hub is licensed through an annual subscription fee. Multiple licensing options are available to match your company’s needs. Why does SAP Analytics Hub? What are the benefits of SAP Analytics Hub and how we can engage business Users/IT Professionals? With SAP Analytics Hub, a line of business users base more decisions and actions on most relevant analytics and a single version of the truth. They gain more agility while increasing trust in analytics. Ultimately SAP Analytics Hub enable line of business users to drive toward a data-driven and analytics culture. SAP Analytics Hub gives you access to a catalog of assets that contain links to BI analytics and all relevant information about them. All users can access all available assets, but to access the analytics that is linked inside, you must have the permissions required by the applications that host them. You can save the assets that contain links to your most consulted analytics, so you can easily access them whenever you need. Single sign-on (SSO) can be configured between SAP Analytics Hub and source applications via SAML authentication. Single sign-on (SSO) can be configured between SAP Analytics Hub and SAP Business Objects Enterprise to access SAP Business Objects Web Intelligence reports, SAP Business Objects Lumira visualizations, SAP Business Objects Design Studio applications, SAP Business Warehouse (BW). SAP BW must be configured to support SAML authentication. There are five roles (Business User, Content Editor, Content Validator, Chief Content Editor and Administrator) available to manage assets in SAP Analytics Hub. These roles have different privileges, but can be interrelated. SAP Analytics Hub can be displayed in the following languages: American English, Brazilian Portuguese, French, German, Hungarian, Italian, Japanese, Korean, Russian, Slovak, Spanish, Simplified Chinese, and Traditional Chinese. Please refer to the product roadmap for more information on the planned availability of other languages: www.sap.com/solution/roadmaps.platformtechnology.html. SAP Hybrid Strategy – Designed to ease the journey from on-premise deployments into the cloud by extending or expanding into a complimentary cloud strategy delivering a seamless, interoperable experience so that business users do not have to think about where data or content is residing. SAP Analytics Hub – Provides a searchable catalog of all analytics content allowing customers to bring together all analytic assets whether on-premise or cloud, including SAP or third-party content. Thanks for the insight into SAP Analytics Hub, and quick snapshot on IoT(Internet of Things) and highlights on SAP’s roadmap, and advanced embedded architecture to handle dark data for efficient analysis .Appreciate on the help.